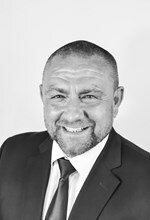 Mike began his recruitment career in 1992 as a permanent consultant within the construction sector with Hays Montrose. He joined Hill McGlynn in 1994 and over the ensuing years was promoted to board director, having developed a five office region. Mike’s initial brief when he joined Search in October 2010 was to build the company’s white collar construction (BCE) offering in England. He was subsequently also given responsibility for the Technical Services business, which included Energy, Scientific, Engineering and Manufacturing. Alongside this Mike was given responsibility for launching Search’s global BCE business. Mike takes the lead in developing key senior relationships within the white collar construction marketplace and has been instrumental in securing contracts with many major construction contractors.